No wonder they’re threatening to blacklist them. They’re illustrating their stranglehold on Hollywood. Zionists run Hollywood. Seriously. Look at the movies being made and who stars, directs and produces them. Almost all have Zionist/Jewish connections. 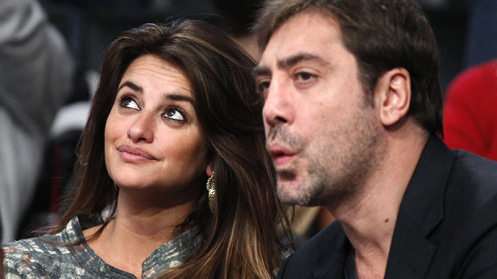 Hollywood producers have signaled a potential blackballing of actress Penelope Cruz and her husband, actor Javier Bardem, after the Spanish couple criticized Israel for its offensive on Gaza. The letter blames the latest bloodshed on the Israeli occupation of Palestinian territories. “Gaza is living through horror…while the international community does nothing,” said the Spanish letter, signed by 100 top figures in the film industry. One “top producer” who has worked with Cruz anonymously told The Hollywood Reporter that he would never hire her again. Another top executive said he is “furious at Javier and Penelope” and could not say whether he would ever work with the Oscar winners in the future. Only one studio leader was willing to publicly state his views.